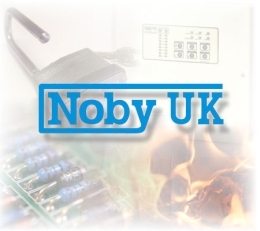 Noby UK Ltd was established in 1992 and commenced design and manufacture of high quality and innovative control equipment for the fire and security industry both in the UK and throughout Europe. Our European business is co-ordinated by Noby AS of Norway which was established in 1964. Our company prides itself on the production of complete solutions for your needs offering electronic hardware and software designs, through to prototyping and production. The company dedicates itself to the manufacture of high quality reliable products that are “man enough for the job” and meet appropriate standards. As a means of maintaining this the company invested in ISO9002 approval as early as 1997 and has recently been approved to ISO9001:2015. Our production facility is situated in two modern manufacturing units at Ripponden in West Yorkshire, just over 5 miles along the quiet A672 from junction 22 off the M62 motorway.